Harvard strenuously denied allegations that it discriminates against Asian-American applicants and sought to discredit the legal challenge to its admissions policies in court documents filed Friday. The Ivy League college, whose admissions practices are at the center of a federal affirmative action lawsuit, argued that it values the ethnic backgrounds of its Asian-American applicants and has not capped the number of students it lets in based on their race. Harvard called the statistical analysis done by Students for Fair Admissions, which mounted the discrimination lawsuit, “deeply flawed,” fostering a “misleading narrative.” The university offered a paragraph-by-paragraph rebuttal to what it described as the plaintiff’s “900 paragraphs of supposedly undisputed facts — many of which are neither undisputed nor even facts,” according to court documents. Harvard’s filings on Friday were the first formal response to allegations by Students for Fair Admissions that the school limits the number of Asian-American applicants it accepts and that across the academic spectrum those applicants receive lower ratings on their personal traits from the university’s admissions officers than their peers. Both Harvard and Students for Fair Admissions, which represents several Asian-American students, presented summaries of their evidence in the case in June. But Harvard insisted that Students for Fair Admissions’ arguments thus far fall short of proving intentional discrimination, and fail to meet the standards for a quick judgment on the organization’s behalf. Harvard called its opponent’s June filing a “45-page press release, devoted to presenting a misleading narrative that is manifestly subject to genuine dispute,” according to court documents. Judge Allison D. Burroughs has indicated that a trial is likely, and has already scheduled a start date for Oct. 15 in federal court in Boston. Edward Blum, leading the charge on behalf of Students for Fair Admissions, said the organization will present its counter to Harvard on Monday. Last year, 22 percent of Harvard’s admitted students were Asian-American, 15 percent were black, and 12 percent were Hispanic. Harvard has sought to keep much of its admissions information under wraps, citing protection of its students and the exposure of potential trade secrets about how it determines who among more than 40,000 applicants will be offered fewer than 1,700 seats each year. The high-stakes case could transform how colleges consider race in admissions and is being closely watched by university leaders, legal scholars, conservative and liberal interest groups, and the US Department of Justice. Blum, the organization’s president, has been involved in other anti-affirmative-action cases and most recently backed a challenge to race-based admissions at the University of Texas that centered on a white student. In that case, the Supreme Court determined that colleges could use race as one of many factors in admissions. But the Harvard case opens a new front against affirmative action, charging that it hurts Asian-American college applicants. Several outside groups are likely to file their own briefs in the case next week. The Justice Department under President Trump has urged schools to drop race-conscious admissions policies and earlier this month overturned Obama-era guidelines on affirmative action, a signal some experts said that the federal government also will get involved in the Harvard case. “It’s the affirmative action wars here,” said Anthony Carnevale, the director of the Georgetown University Center on Education and the Workforce, who has studied college access. Elite schools such as Harvard are models for other colleges,and the case and discussions that come out of it will probably have reverberations across higher education, Carnevale said. Experts also expect the case to ultimately reach the Supreme Court in the coming years. As part of its case against the university, Students for Fair Admissions tapped Duke University economist Peter Arcidiacono for its analysis of six years of Harvard’s admissions data. Arcidiacono’s analysis found that many more Asian-American contenders for Harvard’s freshman slots were described as “standard strong” — a phrase that Harvard uses to describe applicants with strong qualities but not strong enough to merit admission — even when they performed better academically than students of other races who were so described by admissions officers. But Harvard said Friday that describing students as “standard strong” was not an “epithet.” In fact, Harvard argued, it doesn’t penalize Asian-Americans based on their race, but values their experience in the admissions process. Harvard said it trains its admissions officers to understand the nuances between various Asian-American communities and to avoid treating them as a bloc. In its filings, the university pointed out that Harvard’s admissions officers highlighted how one student’s parents were born in Tibetan refugee camps in India and that another Vietnamese applicant was the first in the family to go to college and was the valedictorian for an un-named citywide magnet school. Harvard also criticized Arcidiacono’s methodology because he excluded applicants who are given an extra boost in the process, including recruited athletes and students of alumni, which reduces the sample pool and magnifies gaps between racial groups. While Students for Fair Admissions acknowledged and outlined these practices in court documents, Harvard said leaving that information out of the core data analysis skewed the results. Harvard said its opponents “cherry-picked” information to support their case. 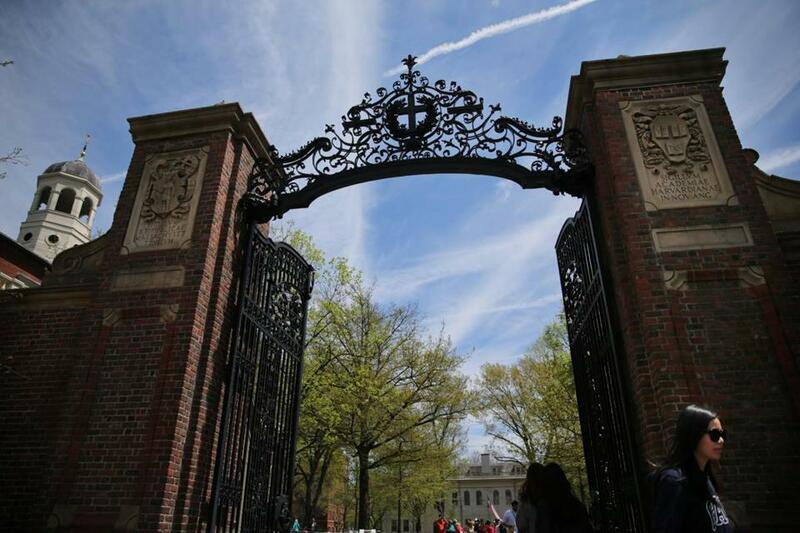 Harvard contends that its evidence shows that it uses race appropriately in admissions and that Asian-Americans were not penalized in the process. Having a diverse student body is a cornerstone of its education, Harvard insists. Both Harvard and Students for Fair Admissions are likely to see various outside groups coming to their defense in the coming weeks. Jin Hee Lee, senior deputy director of Litigation with the NAACP Legal Defense and Education Fund Inc., said the case, which seeks to overturn affirmative action, isn’t just about Asian-American students. The case “goes to the heart of what the university should be,” said Lee, who is representing Harvard student and alumni groups that will be filing in support of the university next week. For centuries, Harvard was open to only wealthy, white, men, and many fear that if the university loses the case, it could be a step back in who has access to the Ivy League school, Lee said. “This case is important and people feel very strongly about it,” Lee said.